This post has been updated with some cool tools to clean up your follow and no follow ride on Twitter. The more I am on Twitter the more I love it and hate it. I have become very active with this new toy, or should I say Tool, and interested in how to best use it in this social online phenomenon. I have been doing a lot of reading and testing out new tools, which has caused me to change the way I Twitter. For those of you on Twitter, I am sure you each have a certain criteria by which you use the program. There are tons of articles out there on how they got tons of followers and they all live happily ever after. Some articles are great, like “11 Ways to Lose Friends and Followers Online” by Brett Borders. Needless to say, I was surprised at some of the examples. Surely, people aren’t that naïve, ignorant, and, yes, downright idiotic. However, he responded to my question with: “All of these were real updates taken from my Tweetdeck. In some cases, the names or the avatars were changed to protect privacy but the updates were for realz.” Well, that took me by surprise. It goes to show you, never doubt the ability to make a fool of yourself in large crowds. Another article I enjoyed, “Twitter & the Law of Reciprocity” written by Kristi Colvin, was another spot on description of this very topic. She goes so far as to post diagrams to illustrate her point. What it boils down to is this: we are not going to agree with everyone’s suggestions, but everyone is arguably right. A site I happened upon that also touched on the follow to no follow examples was a cute video that shatters the honeymoon, but allows you as the viewer to engage and really appreciate the comic side of Twitter. The message is clear: don’t engage by posting noise, but engage by posting valuable information. With that said, let me also say that not everyone is going to like you; it’s just a fact of life. Therefore, whom do you follow and how can you make a difference with your followers? 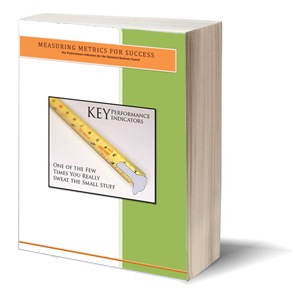 There are several tools for following people in your niche market. Here are some ideas for “Managing Your Twitter Followers and the People You Follow”. • People who consistently post dead links. Generally, these are wanna be spammers. However, even if they’re not, if the links are always dead and they’re always posting links instead of anything else mixed in, they’re not doing anything for you anyway. You’ll build your own follow and no follow rules as time goes by, but if you break them down you’ll find that most no follows are due to boredom, irritation or disgust. Boredom – those that are monotonous. They never have anything to say. Irritation – what they have to say is not worth it or sales. Disgust – those that auto post. You can tell – they post fifteen messages in a row. Here are some tools that will help you clean your Twitter noise. Buzzom’s : Grow, Flush, Reciprocate, Cross follow. Pretty cool actually I have been cleaning up some dead weight! 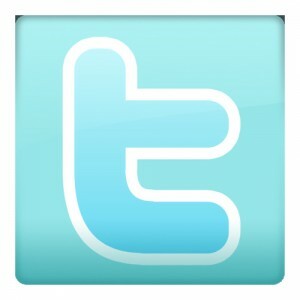 Manage Twitter: This is a real easy way to see who’s been missing from Twitter which I love. Including mass unfollow! After all it’s one of the way’s I can add “real” valuable followers. What are your no follow and follow rules?